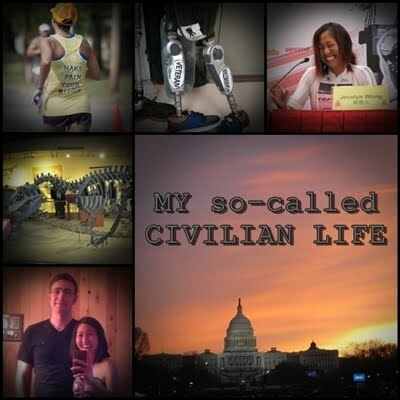 My so-called CIVILIAN LIFE: 2 miles forward, 1 mile back: marathon training update. 2 miles forward, 1 mile back: marathon training update. The day after Rock Hall heralded 18 WEEKS TO GO! until my first attempt at a fast standalone marathon. Ok, definitely not my first attempt at a marathon--that was during my sophomore year in college, when I started training for the L.A. marathon because I had signed up for my first Ironman (the now defunct IM California) and figured, you had to do a marathon before you did an Ironman, right? The L.A. Marathon never happened because I was young and dumb and didn't know how to train and got all sorts of running injuries. (Foreshadowing??) My first marathon was actually during my first Ironman after all! Now I'm not nearly as young (that was 13 years ago) and hopefully not nearly as dumb. Or am I? I've been getting my marathon run geek on and reading all about how to become a fast marathoner. Apparently it has a lot to do with increasing your weekly mileage. There's many that say the most fitness is gained once you hit 70-75 miles per week (aka "mpw" in runnerspeak). Apparently the next biggest gain is moving from the 70's into 100mpw territory. Whoa there. 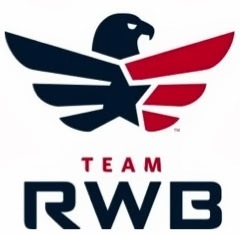 Like I've mentioned before (pre-race blog), I looked up my old training logs from the pro days and did find a single week when I ran 11.5 hours (80 miles or so), and there were a couple of 8.5-hour running weeks (60mpw). Mixed in with a crapload of swimming and biking, of course. So I jumped right into the advanced plan from Hanson's Marathon Method. It's exactly 18 weeks (destiny!) and I split it up into 3 x 6-week manageable blocks. I'm aiming to hit 50-55 the first block, then 60-65 the next block, and 70-75 the third block. The first week went great! 46.8 miles! Of course I quickly realized that multiple days of running meant becoming best friends with the foam roller, compression socks, an ice pack, TP massage balls, and stretching for the first time since I was in high school and we did warm-ups following Westmoor Rams jumping jacks. Of course I was a little more sore than usual, and my old shin splints on the left leg complained more than usual. Then after day 1 of week 2, my left plantar fascia was SUPER tight and complaining just standing in my work shoes. UH OH. Day 2, week 2, I benched myself and sat in the corner facing the wall while I thought about why I was in trouble. First of all, I realized I had converted all of my training hours to running hours. Sooooo...with all my good intentions I had ended up hailing the 200% rule anyway. My 7-9 hours of triathlon training only had 3-4 hours of running. Which is 20-30 miles. Don't double your run mileage, stupid. In my post mentioning the Hoka experimentation, well, yes, I have to admit I've been playing the "shoe game." I'm a biomechanics nerd who originally wanted to go into designing running shoes as a career (before I discovered how much cooler prosthetic legs are!) so of course I'm enamored with trying out different running shoes. Love is finding someone who makes your size 10 feet look small. I'm also a certified prosthetist AND orthotist. Which means I know how to manipulate the type of shoes and things inside my shoes to offload certain niggles I feel in my legs and feet. NOT always a good thing! Meaning...I'd stepped down from a mild stability shoe to a neutral cushioned shoe recently and did fine on low running mileage. BUT...when the mileage bumped up and the shin flared a little, I had thrown in a pair of semi-rigid insoles into my neutral shoe for my last 3 runs. All of those runs were 7-10 miles. Instead of pain on the medial side of my leg (the shin splints), I had essentially transferred it over to lateral side of my foot (hence the cramping plantar fasciia). realizing my foot would become angry later that night.